Karina's Kreations: Simply Adorned Locket Swap! 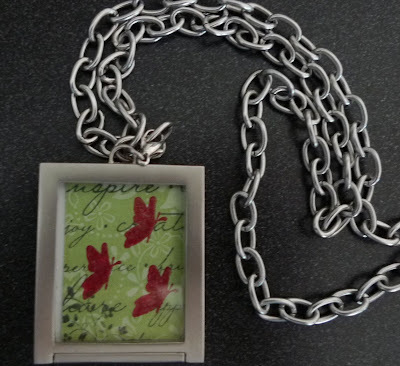 I'm off to Millet this Saturday and this is my locket insert swap. I can't wait to see what everyone else makes. I used the Charming stamp set to create most of my project. I stamped Whisper White card stock with the word image in Basic Grey ink. I added a torn edge of Certainly Celery Patterns Designer Paper over the Whisper White layer. 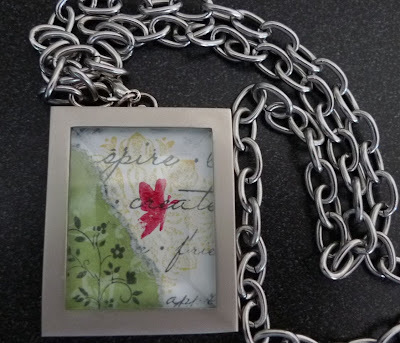 To add some texture to the Designer Paper, I stamped the flower image from Tiny Tags in Basic Grey ink. 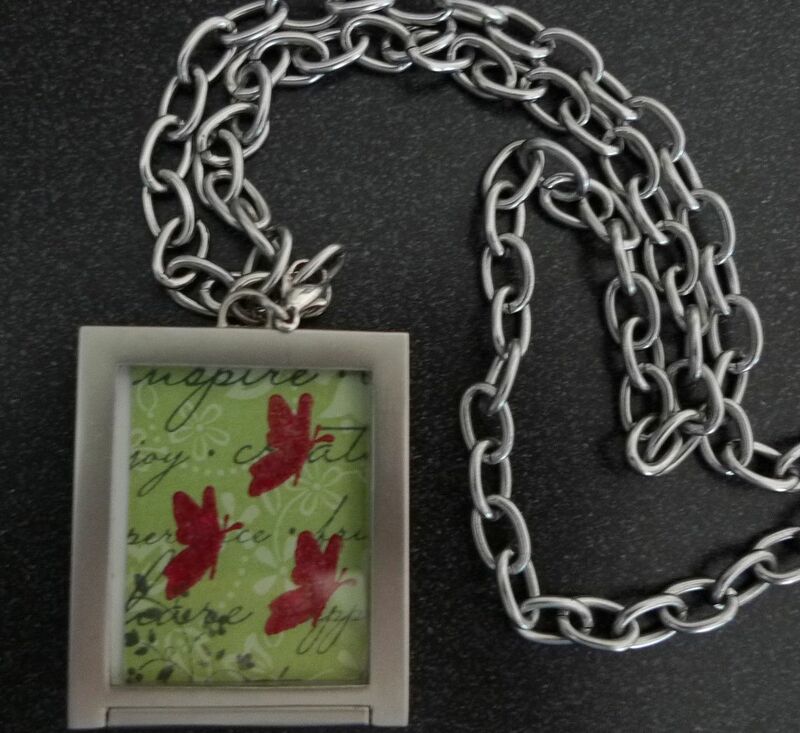 The butterfly was stamped with Real Red Craft ink and embossed with clear embossing powder and my Heat Tool. I hope everyone likes my swap.